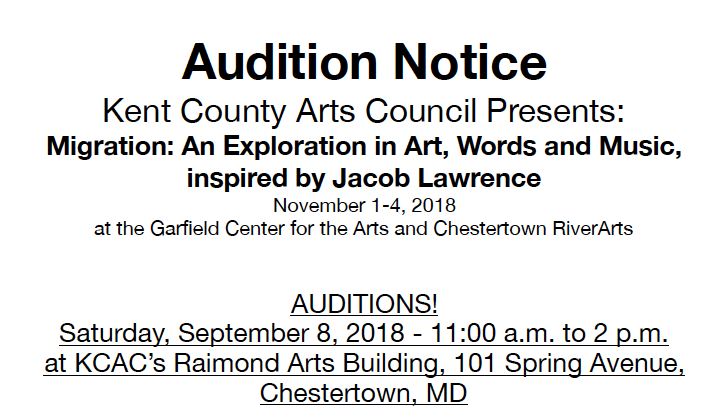 The Kent County Arts Council (KCAC) will hold auditions for their presentation of staged readings of a series of five new plays commissioned by and written for The Philips Collection in Washington DC to commemorate an anniversary of “The Migration Series” in 2015. The KCAC will produce the plays with Artist-in-Residence Jacqueline Lawton, Theater Department, UNC Chapel Hill, and the plays will be directed by Michele Volansky, Chair, Department of Theater and Dance, Washington College. 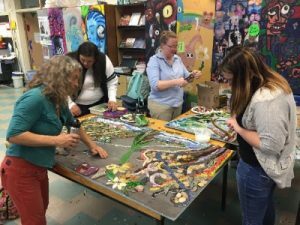 Carla was a founding member on the Board of Directors for the Sultana Education Foundation; a member of the Board of Trustees at the Academy Art Museum in Easton, Md. ; a member of the Board of the National Music Festival; a founding member of the Greater Chestertown Initiative; a member of the Washington College SANDBOX Advisory Board; and served on the Advisory Board of the Art of Stewardship Foundation. Massoni founded the Women Helping Women annual concert to benefit migrant workers in Marydel, Md., and served as Southeast regional representative for the Beyond War Foundation’s Breakthrough Project US/Soviet Union. 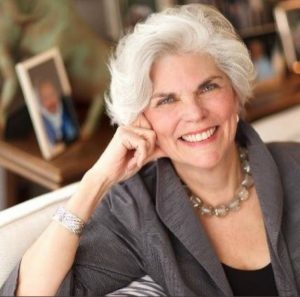 She previously served as a juror for the Academy Art Museum most recently for their 17th Annual Craft Show, has been a juror for numerous arts institutions in Maryland, and served as a juror for Philadelphia Museum of Art 2017 Craft Show. 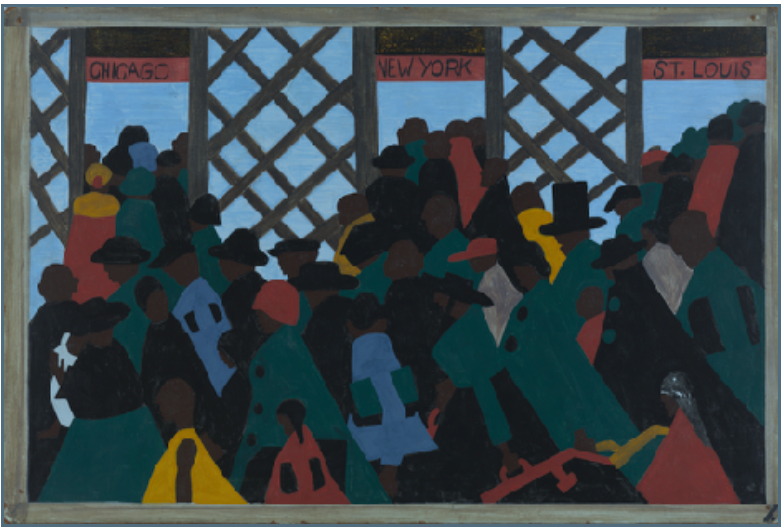 The Kent County Arts Council was founded in 1975 and is a registered 501(c)(3) nonprofit arts service organization. 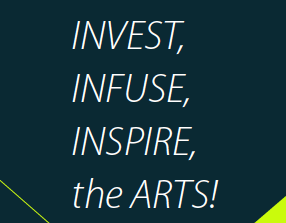 KCAC’s mission is to invest, infuse, and inspire the arts for all in Kent County.